Part of the Century Collection by Ottiu, the Luna Bar Chair is inspired by Hollywood’s golden age of cinema. Classic and elegant, the design features curved solid walnut legs with Ottiu’s signature brass accents. The curved backrest is hand-crafted in a memorable wing shape providing both style and comfort. 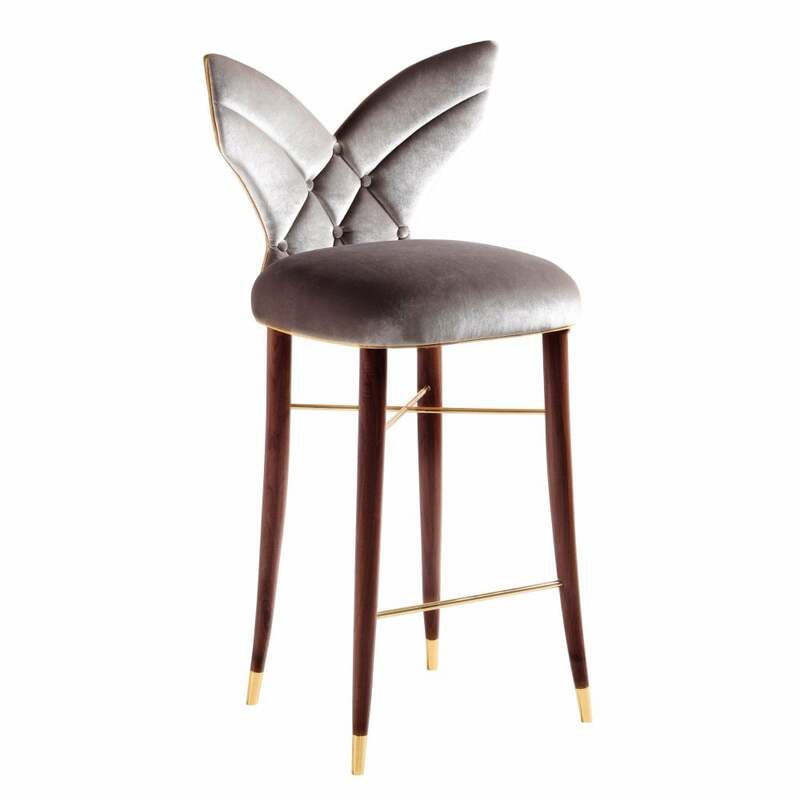 Upholstered with the finest velvet upholstery and button detailing, this bar chair will make a luxurious addition to a kitchen island or home bar. Shown here in a soft grey fabric with gold piping, the bar chair is available in a range of finishes. Get in touch with our team for more advice and information.